The Stila Modern Goddess Fall 2015 Collection has some really cool stuff in it and I want to share it with you. This fall, mythic beauty meets modern-day muse to inspire a collection so heavenly, it could only come from Stila. New, never seen before formulas and truly groundbreaking textures grace the skin and envelop it in ethereal shades. Striking colors play off each other in bold and unforgettable ways. Skin is so flawless, it emanates an otherworldly brilliance that can only be described as divine. Meet the Modern Goddess, a daring makeup dichotomy that blends old world and new into a magnificent mélange of strong and feminine, chic yet soft, and opulent with a touch of whimsy. They aren’t kidding when they say there are some new textures in the collection and I think I might have found my newest foundation fave! First up check out the Got Inked Cushion Eye Liner ($28) and the La Quill Precision Eye Liner Brush ($32 with feather cap or $28 without). 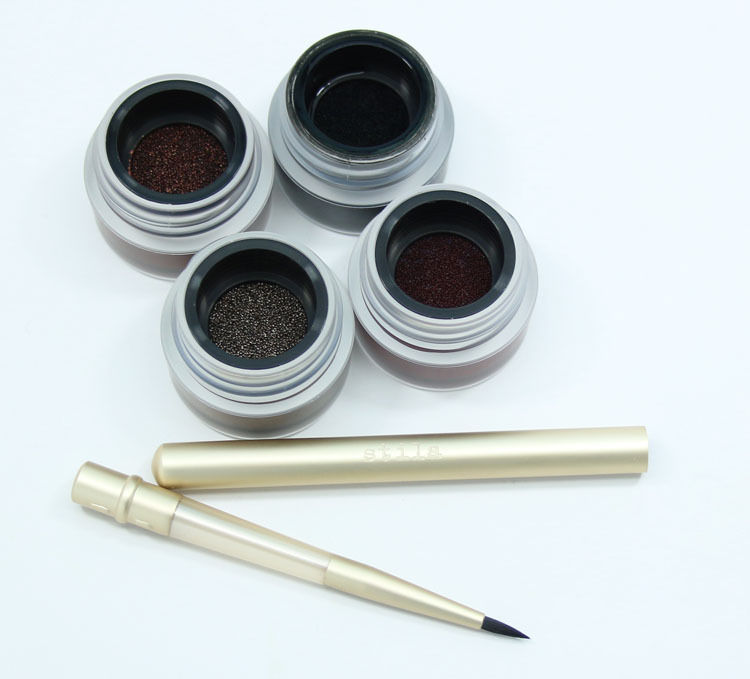 Got Inked Cushion Eye Liner comes in six shades and is super cool. It comes in a little pot and it’s basically a liquid eyeliner infused into a sponge. To use it you just dip the brush into it and apply like any liquid liner. It’s like using a calligraphy pen and ink! They are very saturated shades and apply smoothly and evenly. 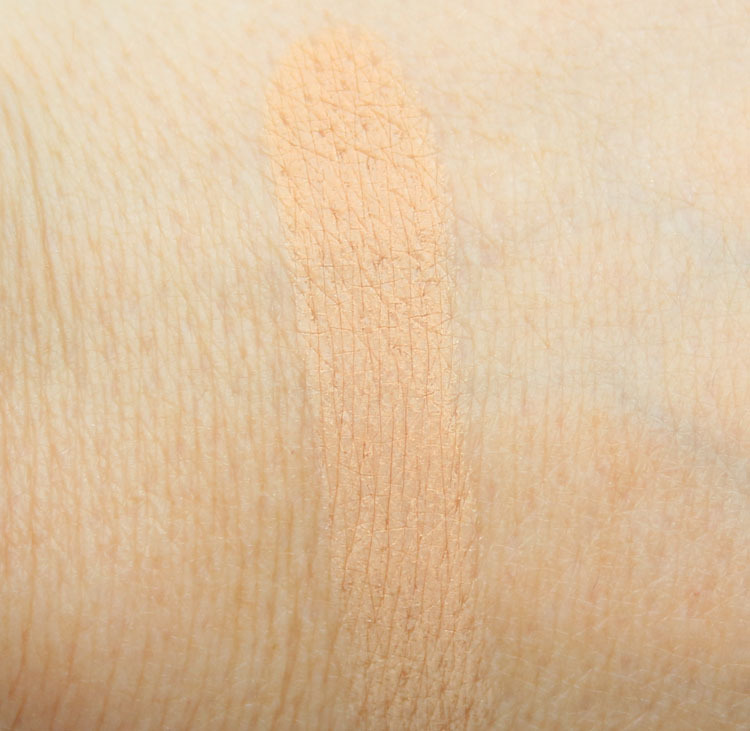 Next up is the Perfectly Poreless Putty Perfector ($39), which comes in five shades (Fair, Light, Medium, Tan, Deep). 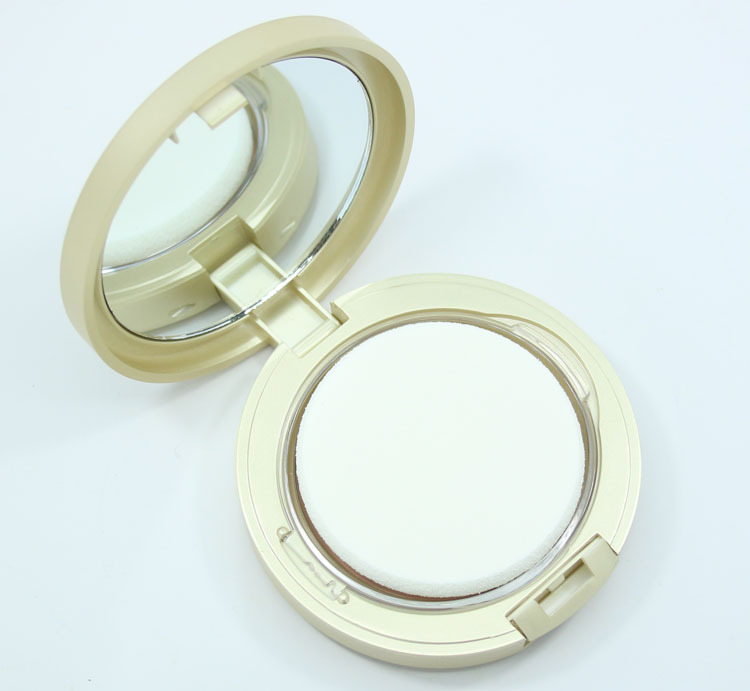 It comes in a compact with a sponge applicator and mirror. This stuff is so cool! 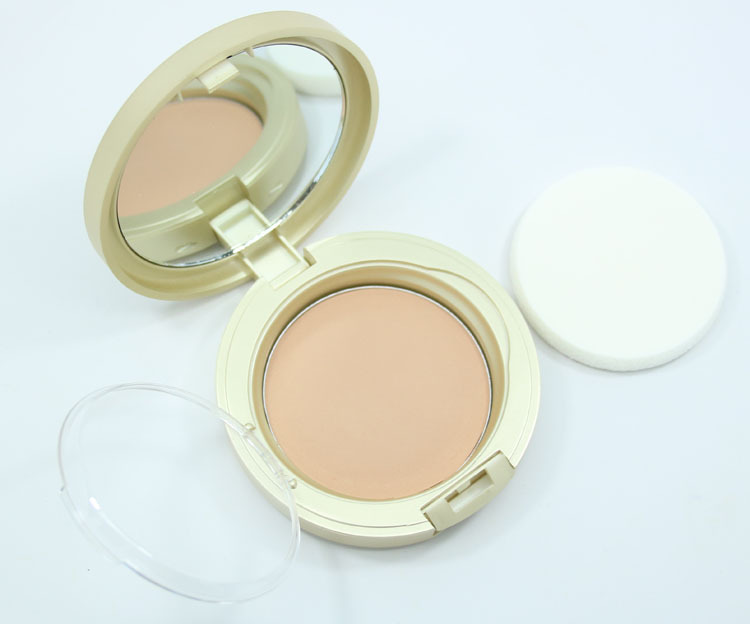 It’s a combination of a pressed powder and a cream foundation and it has this soft, putty-ish texture. It applies super easily. It’s very creamy and smooth, and covers really nicely. With one swipe, I am telling you, I was very excited! It’s build-able and blurs away pores and other imperfections in the skin. It’s oil-free and very lightweight and doesn’t make skin look dry or settle into lines. The finish isn’t really matte but it’s not dewey either. It makes my skin look like real skin, only better. I am hooked because it’s so easy to use! Copper Ink is an intense copper with gold shimmer. Black Obsidian Ink is a jet black. Smoky Quartz Ink is a greyish/greenish shimmer. Garnet Ink is an intense deep red. Light, which is the second shade in the line, matches my skin really nicely. Yay for cool new textures and great products! The liners are a really cool concept and I like them. I just kind of wonder if they will dry out quicker than say a gel or a pen-style liquid liner. Time will tell. The Putty Perfector is seriously my new BFF. I am in love and really recommend you try it out. You can find these on Sephora and Stila now. See anything here that piques your interest? 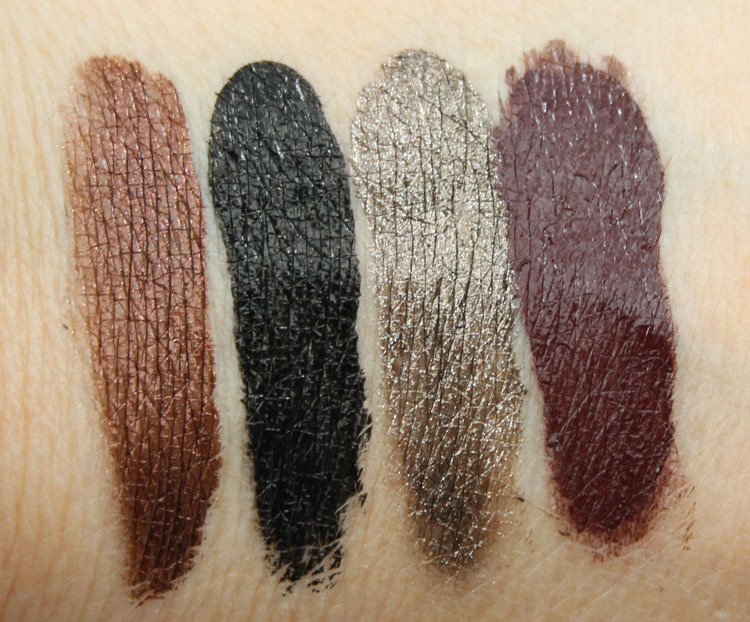 LORAC Alter Ego Dream Girl Eye Shadow Palette Giveaway! Wow, those liners look cool! Is the brush easy to hold with that feather cap? That black shade seems really intense! 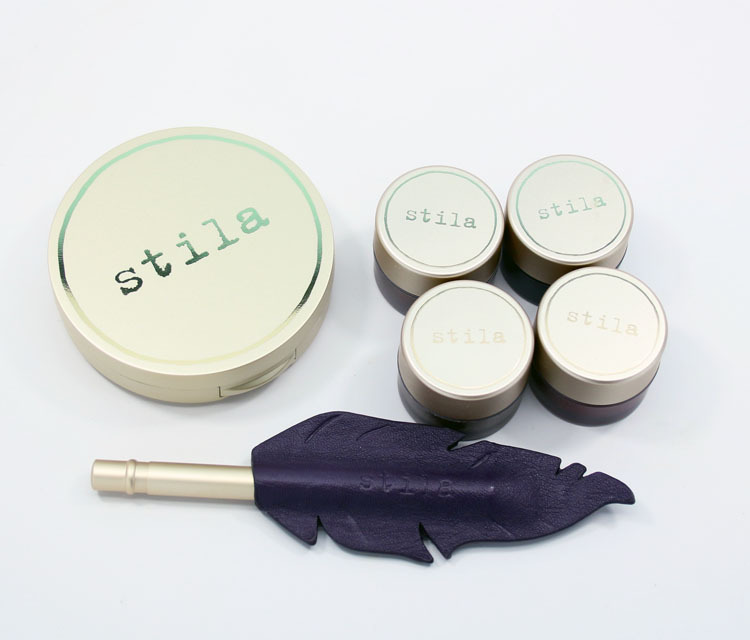 The feather cap is just a sleeve so it’s really a regular brush. The black is very intense! That cap is so cute. I wonder if fair would be light enough for me. I wish I had swatches of it for you! I have the putty and mascara from the collection–both are excellent products! I was curious about the mascara. I may try it out at some point. Love the copper eyeliner and I am dying to try the foundation! You definitely should try it out it’s so nice! Wow! These products look incredible! I hope they wind up making more than five shades for the putty, just cause I know having such a small selection can be difficult for people (myself included I tend to be very cool toned and fair and most fair foundation tends to lean more yellow than pink.) But those eyeliners are incredible! I’m loving that copper liner. The foundation sound and putty seem very interesting. Those liners have some serious pigmentation! I’m not normally a big fan of Stila Cosmetics but I may need to try the Putty Perfector because I love products that give nice coverage but still let your skin look like skin! 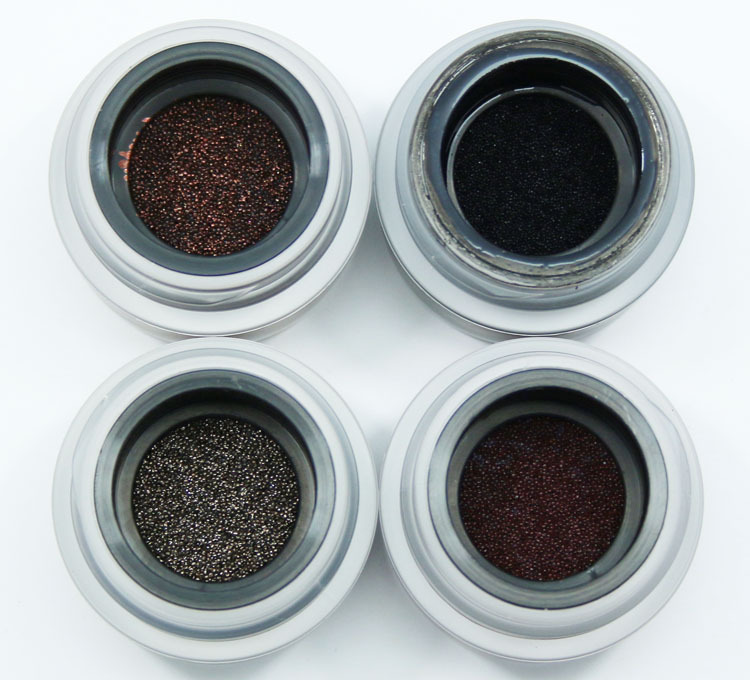 I love the colors of the liners, the Smokey Quartz color is just gorgeous! OMG these look amazing, so intense color! I can’t wait to go check these out! The Putty Perfector is awesome. Finally a foundation that looks like flawless skin! It’s worth the price. Stila has been at the top of its game lately! I’m really interested in this quill brush, I’m always on the lookout for an eyeliner brush that creates the perfect line! Oh man, just when I said I wasn’t buying any more makeup!! The liners look awesome, especially the gold one! And I love the brush with the quill case. I’m also really interested in Putty Perfector– sounds awesome! Better start saving some pennies! I must have Smoky Quartz in my life. GOR-GE-OUS!!!!!!!!! !